Besides diamonds, what is every girls' best friend? Handbags of course?! Makobi Scribe (link to http://makobiscribe.com/) is hosting a Handbag Heaven Event so you can have a ton of chances to win great bags! 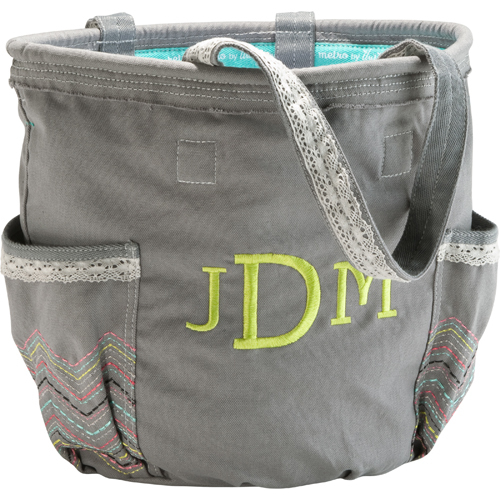 Thirty One Gifts has an assortment of Handbags and purses that are just amazing! High quality, and a huge selection. Thirty One gifts is a company that utilizes Consultants for an up close and personal look at the products. Meet my friend April Ann, fellow homeschooler and Mama of soon to be 5! She is definitely the consultant you would want around at your home party! She is just too much fun! 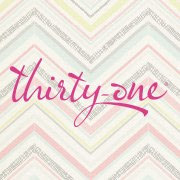 "For me Thirty One is all about freedom! Financial freedom, freedom to spend my time the way I would like, the freedom to provide extras for my family, and FREE products!! If any of this freedom sounds good, give me a call or email me and let talk about you being set free!! Though I am just beginning this journey, I am excited about the adventure. I first learned of Thirty One from a dear friend. I love LOVED their products but bought nothing and moved on. Then Thirty One came to me again. I was invited to my first party, again loved the products and bought one of the least expensive things in the catalog. Last July I decided to host a Party-to-go, or a catalog show..it was $1100! Now, in October I have decided to take the plunge and partner with Thirty One to provide freedom to my future"
Elite Metro Retro Bag is my style, big and holds everything I need! 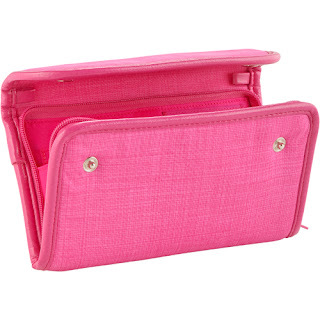 Every Wear Wallet is great for storing the important cards and cash you need, to find all in one place. I am so in need of a new wallet! 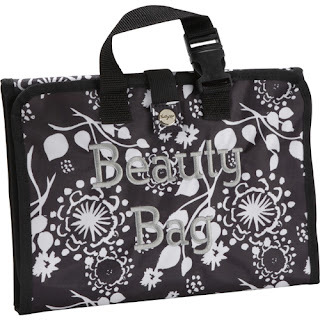 They carry utility bags, keep it caddy's, clutch purses, totes, and even organizational tools for your home. A complete collection of quality made bags! You can simply browse the catalog and find a consultant to order through, or host a party in your home where you can get your hands on the bags and products. That is my preferable method. I like to hold things and see them before I buy them! Plus the fun atmosphere of a party with a bunch of gals and fellowship can't be beat! If you don't have time to get together you can always have a catalog party. I love that each gift can be customized to be truly unique to you.Every one of them can be personalized with your initials or name. That will definitely keep them from getting lost! Be sure to visit April Ann and find out all of the monthly specials . Join her FB page, April Ann's 31-derful Customer and Hostesses and watch for additional specials and deals specific to her group. To learn more about Thirty One Gifts click on the video below. Such a great company and message behind their bags! Casual Cargo Purse is my fav bag ever!! The love all of the thermal lunch bags! The timeless wristlet in party punch. I like the Cindy tote. Thanks for having this giveaway. I like the Retro Metro Weekender! Large utility tote-black floral brushstrokes. I like th cindy tote! The super organizing utility tote! Fitted Purse Skirt or the super organizing utility tote. I like the Organizing Shoulder Bag. I like the Casual Cargo Purse in black polka dots! I like the casual cargo best. I like the thermal tote. I like the retro metro crossbody purse. I really like the Fitted Purse Skirt. I love the retro metro tote! My favorite item is the large organizational tote. I like the Retro Metro Tote! Metro Retro bag with the Georgia Bulldogs logo! The Skirt Purse is my fav! And I'd also like to have a Cinch-It-Up tote! I like the Organista Crossbody in Grey Pin Dots. I really like the retro wallet. I like the fitted skirt purses. The cindy tote, or the casual cargo. I like the Casual Cargo bag. It's lovely. I like the Casual Cargo Purse in Railroad Denim! I LOVE Thirty-One bags! I use them for everything! My purse right now is a Double Zip Cosmetic Case in Black Parisian Pop. But I have my eye on the new Inside-Out bag ... I'm just not sure how daring I want to be with the color. I like the Market Thermal Tote. I like the casual cargo purse. Thanks! I like the Market Thermal Tote in Lotsa Dots! Like the Casual Cargo Purse.